When in the field, Content Marketing Secret Agents can spend weeks or months on a particular project. Move too quickly and mistakes can be made, ruining an entire campaign. Or a premature withdrawal from an operation can compromise the full benefit of the effort. That’s why patience is a virtue with content marketing operations. Experience tells us that patience and setting appropriate expectations are essential to gaining support and allowing a program to come to fruition. Curt Porritt is a veteran B2B marketer who is the Senior Vice President of Marketing for MasterControl and he knows all about the value of patience and understanding human nature to get approval and get things done. You have substantial experience in the tech industry and with your current role as the SVP of Marketing for MasterControl, how has your work with content marketing evolved? Is all the hype justified? The industry we target is very heavily regulated by the FDA. As such, there’s always a large demand for updates on regulations, best practices, advice from industry experts, etc. As a result it was a natural path to promote white papers and newsletters to our target audience. The results have been tremendous from both a lead generation perspective and from a branding perspective. We’ve now positioned ourselves as the thought leader in our industry. I think the recent buzz about content is highly appropriate as it seems to be the direction marketing (and the internet in general) is going. People want more information. They want to choose the kinds of things they follow and the manner in which they follow them. It’s not enough to merely promote your product anymore. I think you have to be able to offer valuable content that is appealing to your target audience regardless of whether or not they’re actively looking for your solution. Content marketing involves delivering a large amount of valuable information to prospects and customers with the ultimate goals of increasing loyalty, introducing solutions, and improving brand. Everything points to delivering valuable content to interested parties in a manner that is easily found and easily digested. Your session “Crucial Content Elements to Drive Your Marketing” is focused on identifying the crucial content elements that drive marketing. What are 3 of the primary takeaways from your Content Marketing World presentation that you think are most important? 1) There are a lot of different types of content you can use to reach out to your target markets including white papers, videos, Flash tours, webinars, newsletters, and more. Find out what works best for your target market and expand from there. 2) There is a growing variety of methods you can use to deliver your content including search, email, blogs, various social media avenues, etc. The key is to find out where your target audience naturally goes to find information and make sure they find you there. 3) Tracking, measuring, reporting, and adjusting your methods and content should be an ongoing, repeatable process that is crucial to your long-term success. Where do you see content fitting in with the overall digital marketing mix? It is the main focus of our marketing efforts at MasterControl. Most of what we do is digital and most of what we do involves content marketing in one way or another. I think this trend will continue for the foreseeable future. 1) Get industry experts to contribute to your content. The key is that you develop a solid channel through which you can convey their expert messages. Once they understand that it helps them, it becomes a win-win-win experience for you, your contributors, and your target audiences. 2) Get others in your company involved. It’s very difficult for a marketing department to be an expert on everything your company does. Get your internal experts involved with the content you produce in ways that are meaningful to your target audiences. 3) Make it a priority and be creative. In most cases it’s not that you don’t have the resources or enough content to convey. It usually has more to do with other priorities that get in the way or a lack of creativity and insight into what your target market finds interesting. Remember that not everything has to be directly related to your product or service. It just needs to appeal to your primary target markets. Once they’re interested in your content, then you can start to introduce your offerings. An email marketing tool and/or a marketing automation tool is essential – not only because they allow you to properly schedule and send mass quantities of messages to segmented audiences, but also because they help you track and report your success rates. This is crucial to improving your efforts over time. I always tell my marketing employees that my opinion is meaningless and so is theirs. What I really want to see is how our prospects and customers respond to what we do. Trial and error (A/B testing) is huge. Also, a good web analytics tool is very valuable. Again, it’s not the content on your website that YOU think should be important, it’s the content that you’re target audience thinks is important that is truly important. This one may sound a bit odd to some people, but I also use keyword tools to help me determine what my target audience is searching for online and how they think. Having managed an online marketing service provider, I can tell you that most companies are surprised to find out what their target markets are really searching for instead of what they think they should be searching for. This approach can help you initially determine what kind of content you should be developing. One of the best ways to convince people of the value of content marketing is simply to ask them to pay attention to what they do on a regular basis. Ask them what their current process is when they plan to make a major purchase. In most cases they tend to go find valuable, unbiased content about their purchase before they buy. Once they realize what they do, it’s often easier to explain that this is the process your customers are likely to take as well. A good content marketing approach often takes time to develop. Most “old school” executives are likely to have doubts about an approach that doesn’t always produce immediate results. I think you have to be able to give them real statistics and good case studies that show that the buying process is changing and that you need to keep up or be left behind. Sometimes you just have to convince them to just trust you for a while. If this is the case, it’s vital that you can track and report on your success. Real numbers always trump personal opinions. You may have to ease your way into content marketing along with your other activities and show results as they are available. When using videos or Flash tours, offer them “for free” without having to fill out a form or jumping through any hoops. People will almost always watch something before they’ll read something. However, use a viewer that automatically offers them more information about what they’ve just watched if they will fill out your form (e.g. related white papers). Make this process relatively short, simple, and easy to do. Videos should typically only be about 3 minutes long. Put these videos/tours on every page of your website. This approach has produced more high quality leads than anything else we’ve ever tried. Very useful Agent Porritt, thank you. 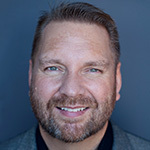 For more insight into Curt’s content marketing secrets, check out his presentation at Content Marketing World: “Crucial Content Elements to Drive Your Marketing” September 6th at 9:45am. Also be sure to check out the TopRank session at Content Marketing World on 360 degrees of optimization with social media and content marketing: “Optimize and Socialize for Better Content Marketing” – September 6th at 3:05pm (Content Creation & Optimization Track).